At the risk of sounding really conceited, I'm gonna say right now that I really like Children of the Nameless. It's a bit of a mess, but it's getting there. It has great potential, and I think it's pretty beautiful. There's just one problem. And his name is Kaleth. I love Kaleth. I really do. He's the first character I came up with(more on that later) and he has an incredible character arc that I'm so excited to write. I just have such a hard time writing him! I don't know exactly what it is. Maybe it's because we're very different. or because I'm trying to hard to portray him the way I want him to be seen. But he's difficult. So I figured that doing a Beautiful People post for him could help. When I was imagining the start of CotN(find out more here), Kaleth kinda just popped into existence. I didn't know anything about him, but he was there and (sorta but not really) ready to tell me all about him. I don't think he's ever been starving, but he's definitely been very hungry. Farming doesn't always go well, especially when the Feor are going around destroying crops and stuff. But there's always hunting and foraging when things get rough. A better question would be if there's anything he's not proud of. Kaleth's a pretty prideful dude, but he's definitely very proud of his swordfighting skills. Kaleth is an ESTJ Gryffindor. He definitely thinks about and plans for the future, but he sees no point in freaking out. It's better to focus on what he can do now. Water? My worldbuilding has not yet extended to food and drink. Green might be his favorite; it's one of the colors I always associate with him. And I've got no idea what his least favorite is. I don't know if he's ever seen, much less read, a book in his life. Well, that did seem to help a little. If nothing else, now you guys know more about Kaleth! My life is pretty crazy right now, since my family just moved and I'm in college now, but I'll try to keep posting consistently! I have a bookish post planned for next week, so keep your eyes open! 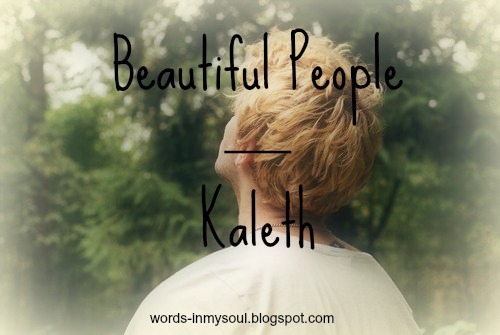 What do you think of Kaleth? Do you have a character you struggle to write? 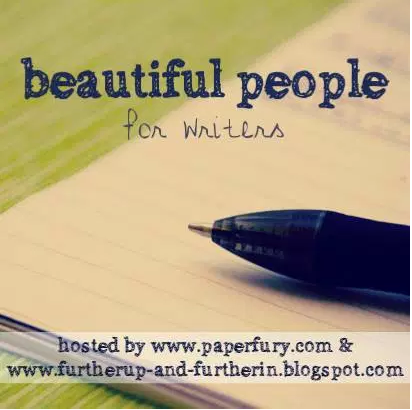 If you did Beautiful People too, share the link in the comments so I can check it out! I enjoyed getting to meet Kaleth!! *flails* Also the things that make him lose his temper = I RELATE. 😂 Seriously plans shouldn't be allowed to go wrong. It is very rude of them. *glares at plans* ;) Also I hope Kaleth starts behaving for you soon! He has an awesome name! !